Somewhere in that indescribable place where blue and purple meet you will find the intoxicating color of Tanzanite. Its dual color�brilliant blue with hints of purple�ranges from indigo to violet to lilac to periwinkle. The color dynamic of Tanzanite makes each gem unique. Bold yet meltingly beautiful, Tanzanite is always a favorite accessory. With its dazzling intensity and complex play of color, Tanzanite boasts a unique sensuous appeal. 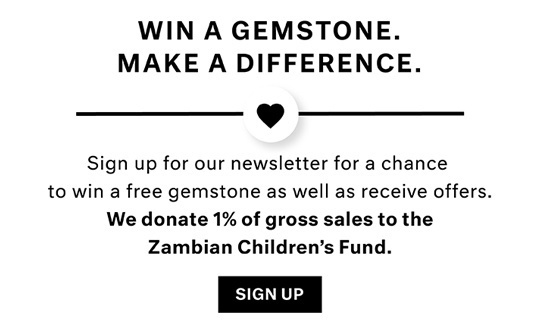 With over 30 years in the gemstone jewelry industry, AfricaGems is the best place to come for high-quality, well made gemstone pendants. We also know that the best way to display a stunning Tanzanite gemstone is with white gold and diamonds. When you look at our collection of Tanzanite pendants, the first thing you notice is the way the gorgeous indigo light of the Tanzanite dances with the shine and sparkle of the white gold and diamond mounting. Two of the pendants we offer are designed in the drop style in which the necklace comes to a dramatic plunge, creating a stunning waterfall of diamonds and Tanzanite. Drop style necklaces are always extremely flattering as they tend to elongate the neck and sit nicely on the d�colletage. 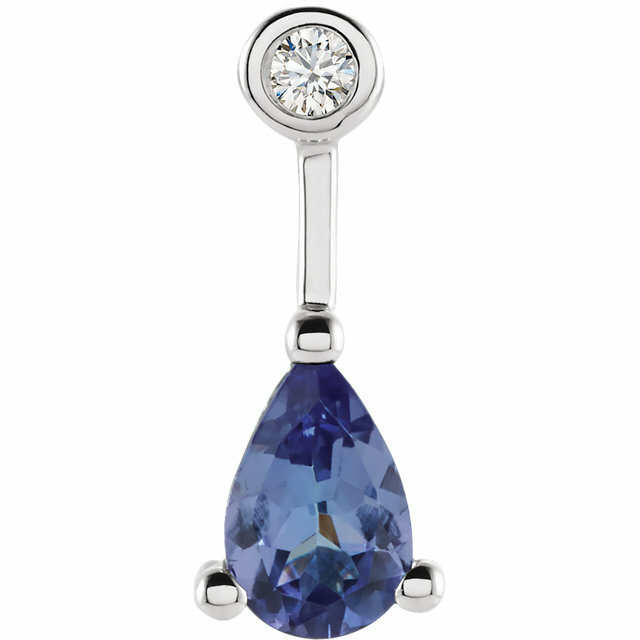 We also carry the Mac Daddy of all Tanzanite pendants, with a whopping 2.31 carats worth of bling. 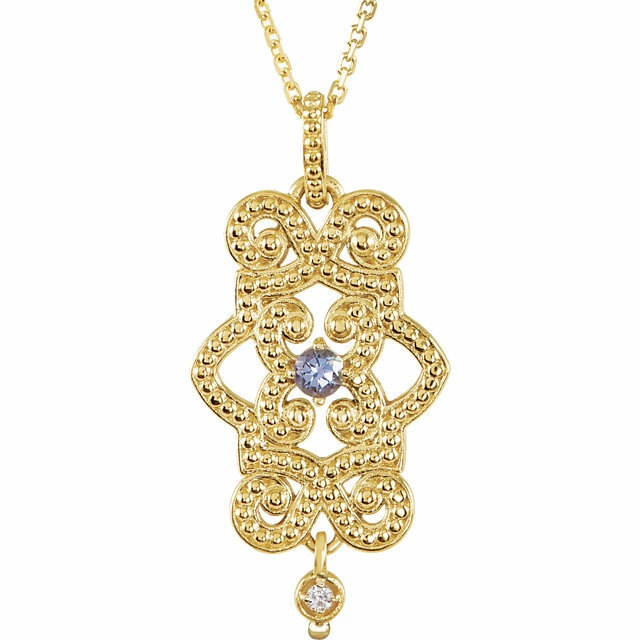 In this stunning piece of jewlry the rich lavender blue color is strikingly contrasted with the elegant diamond pave pendant. 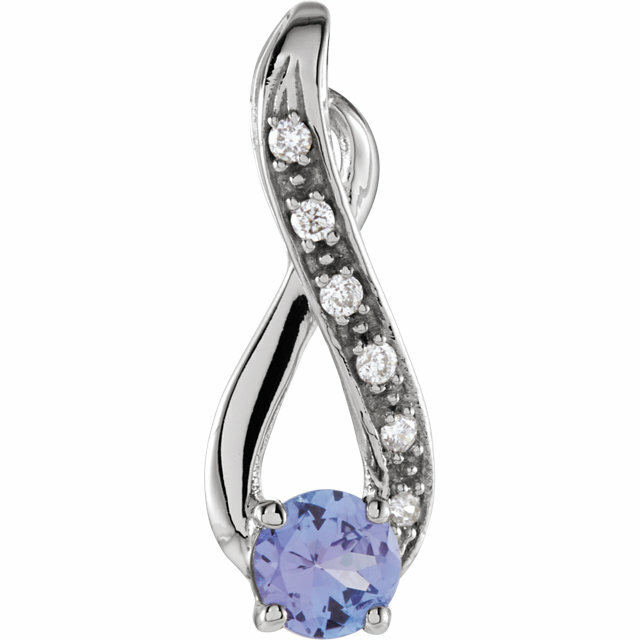 In short, we are extremely proud of all of our Tanzanite pendants and we�re confident that you will love them too. 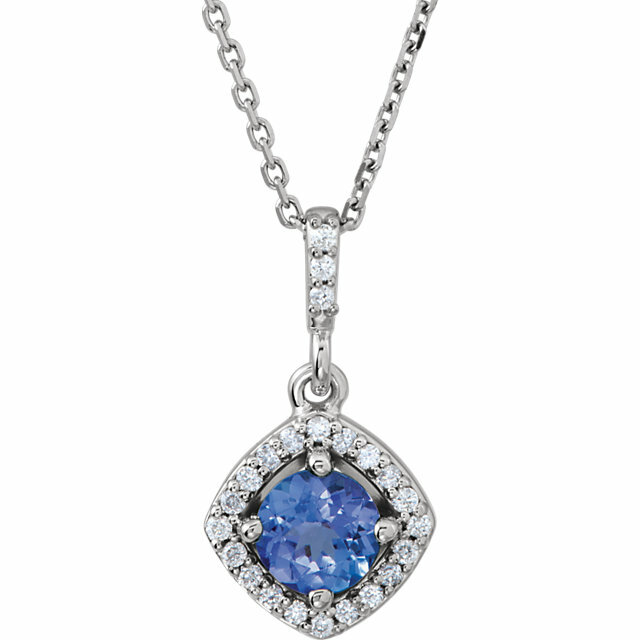 Some of our Tanzanite Pendants come with matching jewelry to create a complete look of class and elegance. All pendants include a free chain and you can count on same-day shipping.